Japanese technology giant Hitachi has announced plans to acquire an 80.1% stake in ABB's power and grids business for an estimated JPY 704 billion ($6.4 billion), with the option to buy the remainder. The initial part of the deal is expected to close in the first half of 2020, the Japanese firm said. 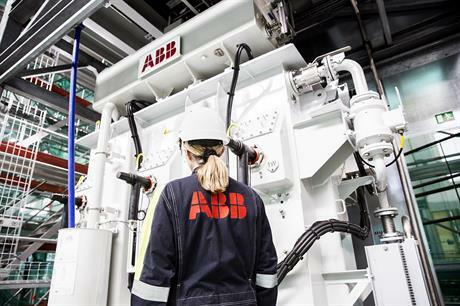 The ABB unit includes its Grid Automation remote monitoring subdivision; the Grid Integration unit including substations, HVDC systems and semiconductors; high voltage products like its Gas Insulated Switchgear’ and the Transformers business, which operates in the rail sector. "Hitachi and ABB agreed to the enterprise value of the company operating power grids business separated from ABB as $11 billion. "The purchase price of [the] 80.1% stake is expected to be approximately $6.4 billion (JPY 704 billion) after deducting debt like items from the enterprise value," the firms said. The two companies previously entered a strategic partnership in 2014, followed by a joint venture in 2015 to provide HVDC operations in Japan. Hitachi CEO Toshiaki Higashihara said the purchase was a "turning point" in the world’s power and energy markets. "Hitachi will combine ABB’s strengths in the power grids business with our digital technology to build an energy platform that contributes to innovating the energy business," Higashihara added. ABB CEO, Ulrich Speisshofer, meanwhile, added: "ABB’s power grids business will strengthen Hitachi as a global leader in energy infrastructure, and Hitachi will strengthen the position of ABB’s power grids business as a global leader."